Sorry if there is a thread for this already but I can't seem to find one. I have just purchased a new Xlite 261 BHXL. After the sale the dealer strongly cautioned about driving with water in the tanks. The salesman appeared to think that that tank would fall out the bottom onto the road! That would seem to be a very poor deign. 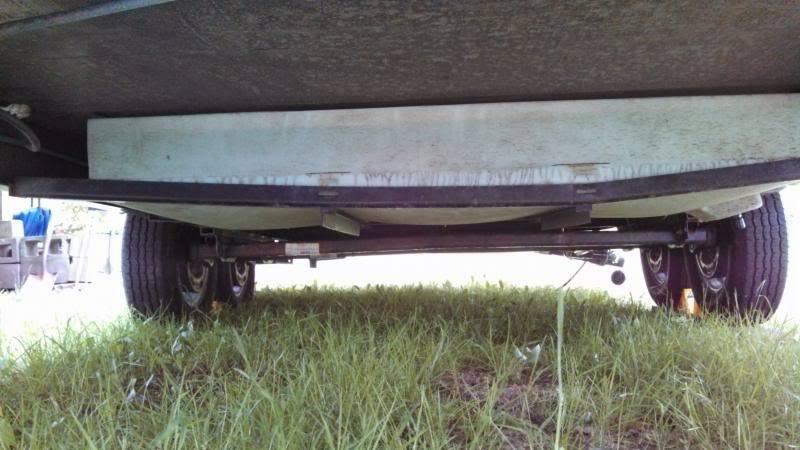 Also depending on tank size the water weight will deduct from your cargo carrying capacity. Of course he did not voice this concern before you signed on dotted line. This is crazy. Although I have heard stories on hear of the tank not being supported properly and falling out or bulging out the underbelly, I don't believe for a second that as built from the Mfg you should not be able to carry a full tank of water with you. That's why it's there in the first place. Not so you can fill it when you get to your destination. There are threads where a tank has dropped. Braces have been added or beefed up to handle the weight. I would say that the Bottom is OPEN,so you could look at your F/W Tank from below Before and After you put Water in the Tank and see if it looks Substantial for Holding water and Travel! Some that have Posted Pic's on Here are NOT very Substantial and Have Failed! Youroo!! 1 gallon water weighs 8.34 lbs. - plus the ballast motion ! When we picked up our new MH , the first thing I did was drain most of a full tank of water. Since this is a new unit i would ask the salesman man if that would be cover under the warrenty, just curious what his answer would be ? Our Work & Play TT toy hauler has a 110 gallon tank. We always fill it up completely before heading to our races. No problems for thousands of miles with close to 1000 lbs. of water. Maybe you should of left it full, so you would know if you ever needed to haul a load it doesn't fall out the bottom of the rig? OP, for a salesman to mention something like that after the sale it sounds like he knows something. Like a design issue with that model.